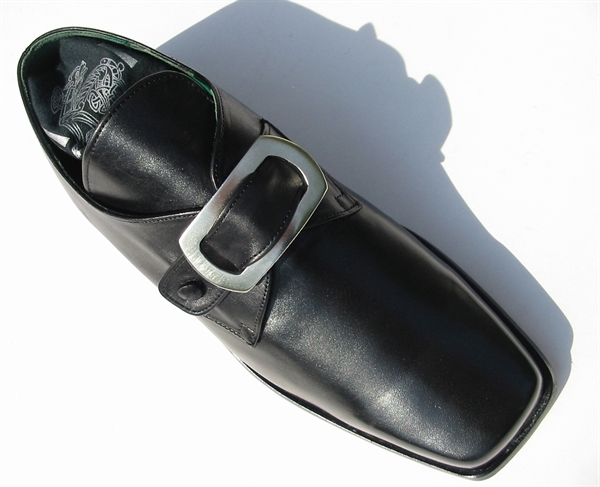 The beautiful Glenfinnan shoe was inspired by the buckle shoes famously worn by Bonnie Prince Charlie, (Prince Charles Edward Stuart) & his military commander-in chief during 1745 Jacobite uprising. 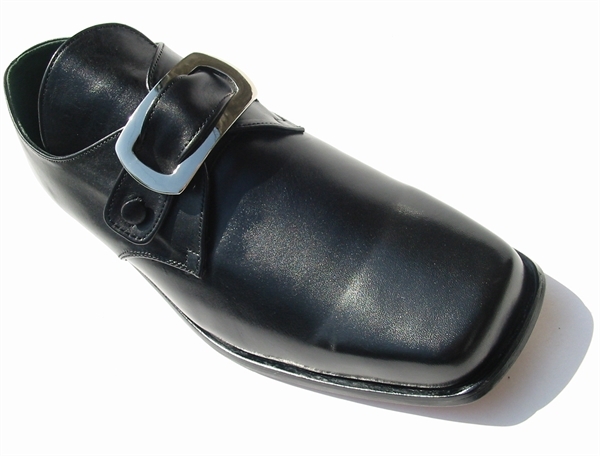 Leather soles and uppers .Slightly Raised heel. 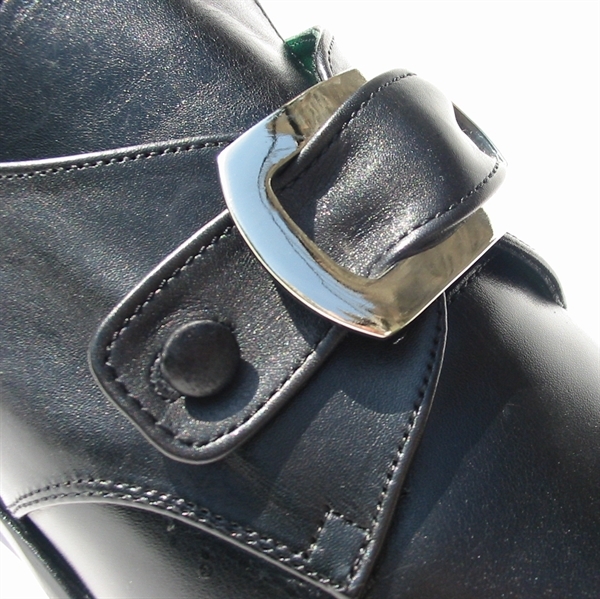 Jacobean styled buckles fit onto a single latchet (strap) which is attached to an elasticated button. This is THE world famous MacKenzie Frain shoe.